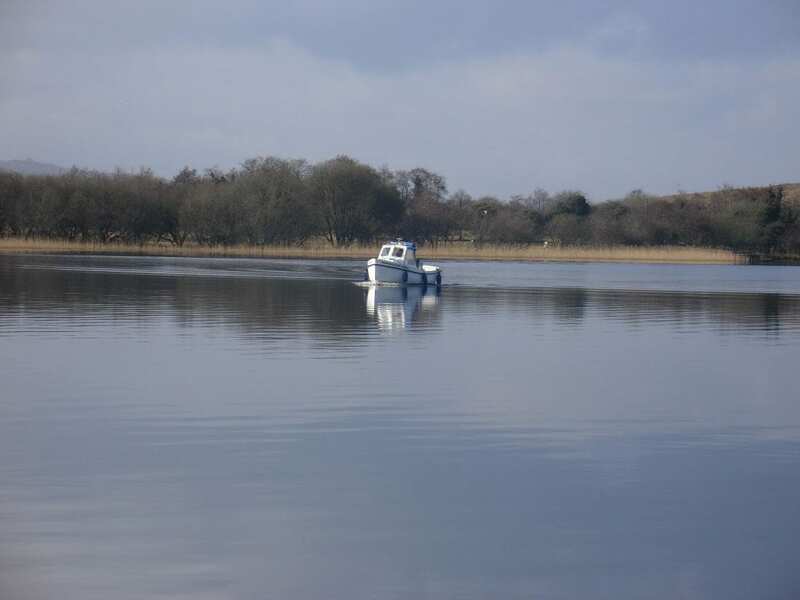 For the day visitor we offer our day boats for half and full day hire. 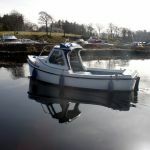 You need no Experience and No Licence to hire our day boats. We give full tuition on arrival. 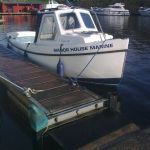 The price includes fuel, VAT, tuition, navigation charts, buoyancy aids etc. 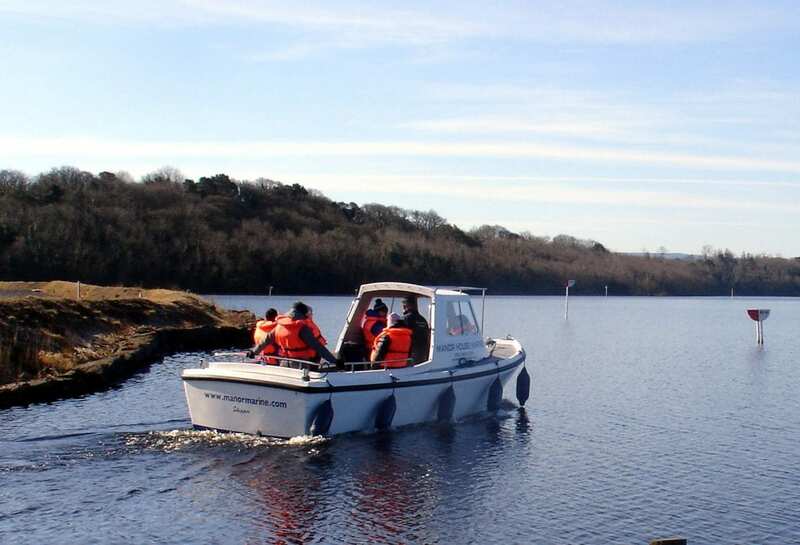 All our boats have a front cabin with inside steering and are fitted with a diesel engine. 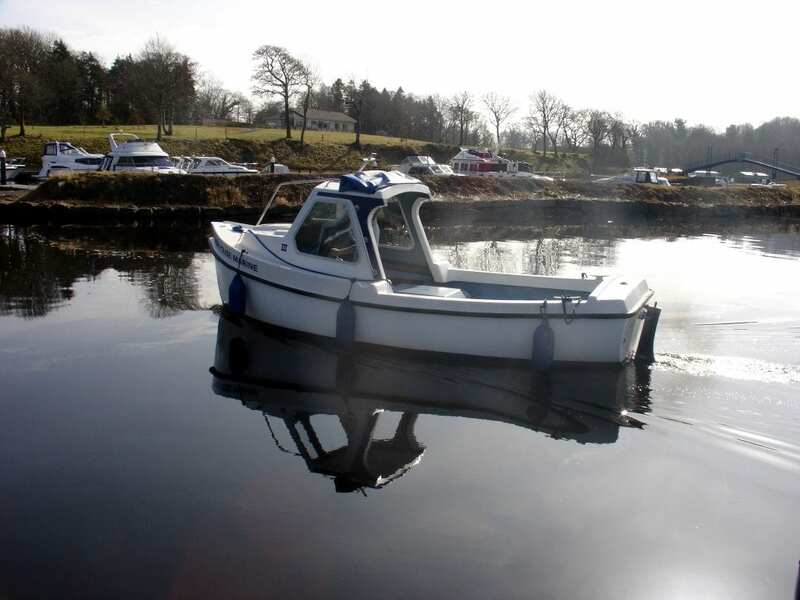 We have boats for up to 6 people and boats for up to 8 people. All available for charter between the beginning of March and end of October. Regretfully we can not offer this service in the winter months. 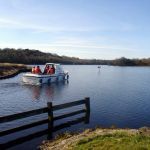 For a half day boat hire (4 hours) you can visit Devenish Island (approximately 45 minutes), see the old monastic island and climb the ancient Round Tower. 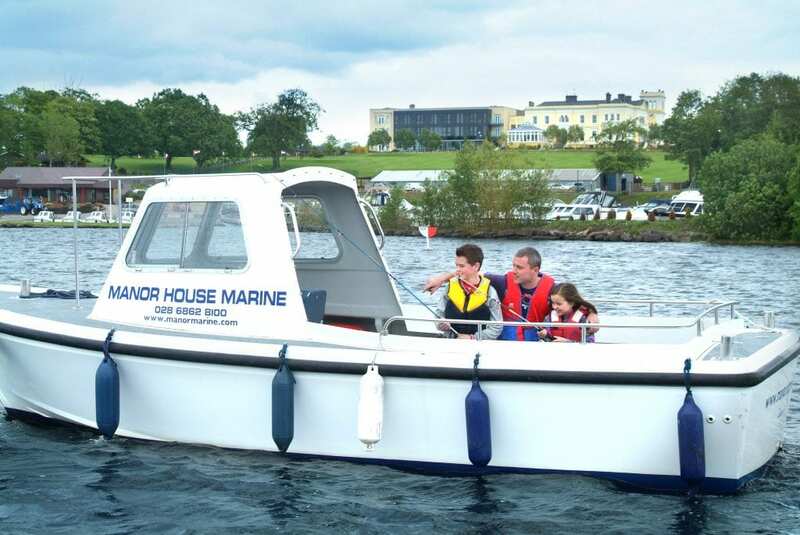 A further 45 minutes will bring you to Enniskillen where you can view the Island town from the water before you make your way back to our base. 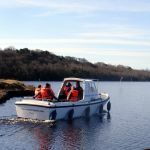 Alternatively if the weather is good and winds are low you can head towards the Broad Lough and visit the ancient figure heads on White Island and perhaps visit Castle Archdale for a picnic. 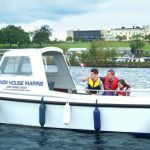 For a full day boat hire (8 hours) you can also visit Devenish Island, cruise on for lunch in Enniskillen and see some of the Upper Lough before heading back to base. 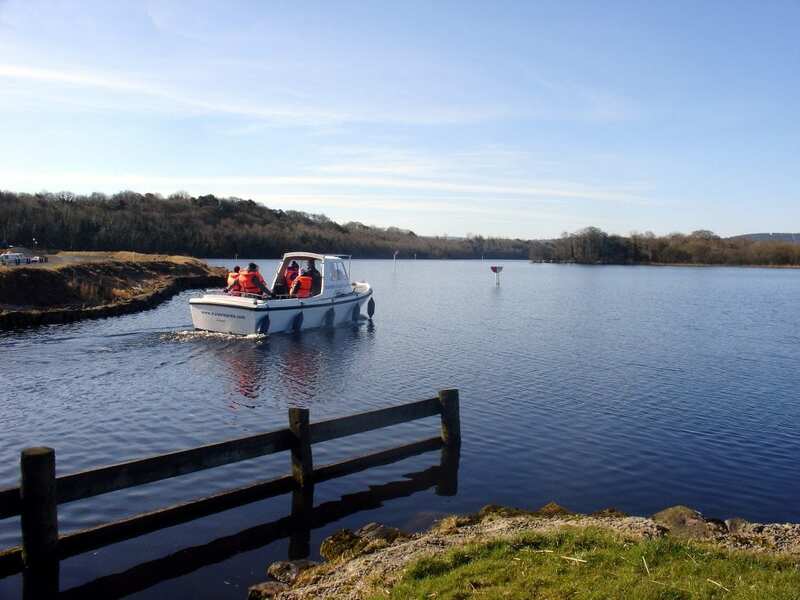 Alternatively in good weather conditions with low winds you can head for Lusty Beg for lunch after visiting White Island or Castle Archdale. Our private island; a lovely spot to have a picnic and look out to the marina and hotel. Sheltered from west winds; a beautiful spot for a quiet picnic or woodland walk. Davy’s Island: Secluded and wooded. 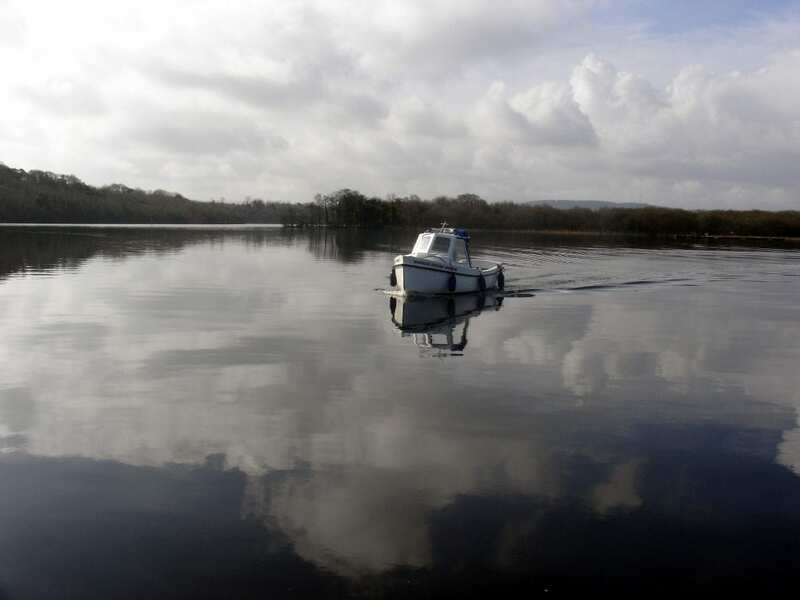 One of the most visited islands on Lough Erne as it is home to 8 enigmatic figures carved in stone dating back to the 6th century. The figures have been collected from islands around Lough Erne and set into the wall of the 12th century church. The island is part of a working farm and animal graze the area outside the church walls: A great place for fishing. There are two jetties at opposite ends of the island; popular with powerboat owners, jet and water skiers. 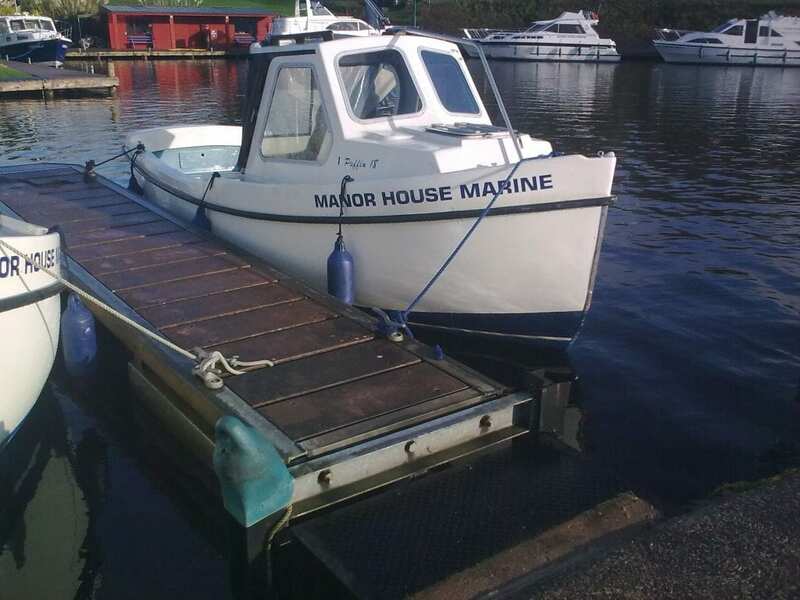 Large private marina and Caravan Park with limited mooring space available. There is a restaurant, shops and a pub on shore. 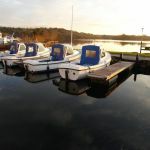 Castle Archdale Country Park is a conservation area and includes a nature trail, butterfly gardens and wild flower meadows. During the 2nd world war it was an important base for flying boats and a small war time museum is situated in the courtyard. Not really an island but a peninsula with lovely forest walks and abundance of wildlife in the area. A pathway connects the area to the Castle Archdale Caravan Park. The scenic tree lined Kesh River is narrow in places, moor at the main jetty just before the bridge. Kesh village has all the amenities you would expect in a small town including shops, post office, ATM’s and pharmacy as well as pubs, restaurants and take-a-ways. 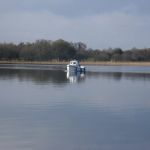 Just north of Kesh; the jetty can be busy with water skiers especially at the weekends. The sandy beach is very popular with families. This is a private 75 acre island with excellent facilities. There is a restaurant and bar as well as various walks and nature trails. 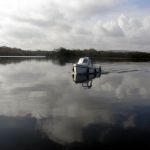 From Lusty Beg you can take the chain ferry to Boa Island to visit the Caldragh Burial grounds and see the famous carved stone statues. This is a very peaceful and secluded spot. The 16th century castle; once owned by a founder of Belleek Pottery is now a ruin surrounded by forest, a sanctuary for wild birds and deer. There are a number of forest walks of different lengths and a beautiful bed of Bluebells can be seen on the forest floor during May. At the entrance is a 1.5m high stone fiddle erected in memory of a local fiddler who drowned in 1770. A large border town; part situated in the Republic of Ireland and the majority in Northern Ireland where all shops operate dual currency. It is well known all over the world for its distinctive handcrafted Parian China and a trip to the visitors centre is a must. There are many restaurants, pubs and coffee shops as well as numerous craft and gift shops. The remains of a 17th century fortified house along with beautifully restored gardens. A tragic history highlights Ulster’s turbulent past. There is a small exhibition in nearby cottages that illustrates the history and landscape. One of the most important monastic sites in Ireland dating back to the 6th century including well preserved example of an Irish round tower. The ruins of 12th century Augustinian Abbey and St Molasise’s House and interesting graveyard are well worth a visit. 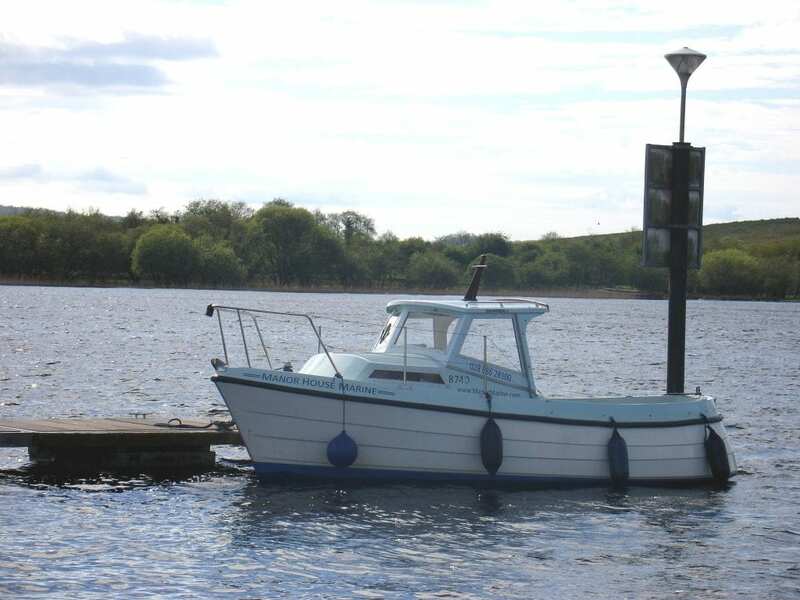 Enniskillen is the county town of Fermanagh and by far the largest settlement in the area. 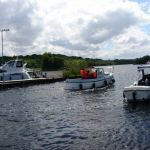 It is located on a natural island separating lower and upper Lough Erne with several moorings dotted along the banks. There are two 24hr supermarkets and the Erne Shopping Centre as well as the numerous shops, restaurants, pubs and all the amenities you would expect on the high street. A popular overnight stop in Enniskillen, as well as staging variety of performances the theatre also has a good restaurant and two bars. 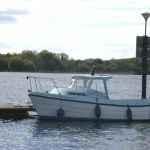 It is only a short walk from this jetty to the National Trust Property of Castlecoole. A popular stop for the hotel facilities. This is a marina for private boat owners but there is a small part of jetty reserved for visiting craft. The bar and restaurant are the main attraction and is very popular with cruiser crews. A short walk takes you to the village of Ballenaleck where you will find shops and a coffee shop. 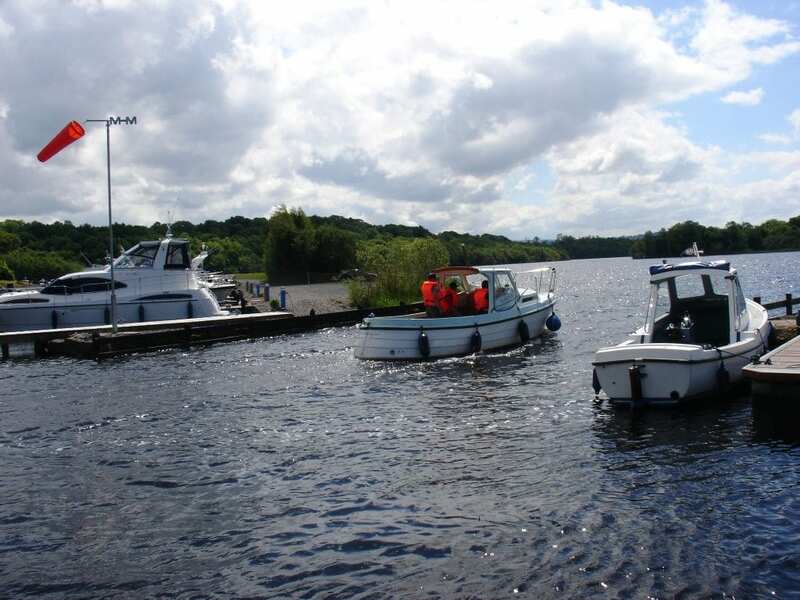 Carrybridge is a very popular marina on Lough Erne. It is home to a number of privately owned craft of all types. It is a very busy place during the boating season. 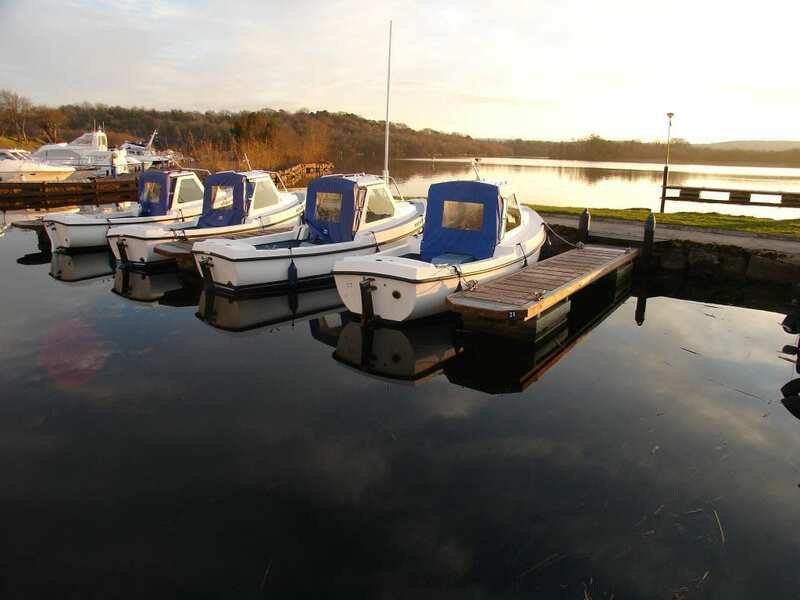 The public moorings are well serviced with shower, toilet and picnic facilities. The hotel is very popular with visiting cruiser crews. Book 10/11 nights on a cruiser and only pay for 7! !